Turkey is boosting tariffs on imports of certain U.S. products, including rice, cars, alcohol and coal — escalating a feud with the United States that has helped trigger a currency crisis. Turkey is boosting tariffs on imports of certain U.S. products, including rice, cars, alcohol, coal and cosmetics — escalating a feud with the United States that has helped trigger a currency crisis. 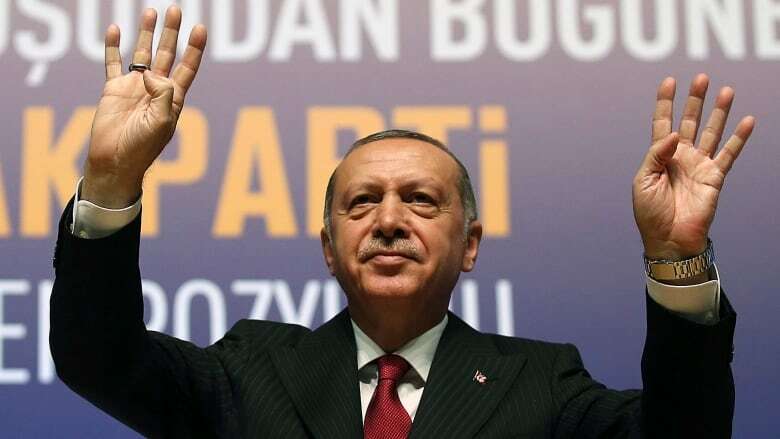 "Turkey does not favour an economic war, but it cannot remain unresponsive when it is attacked," said Ibrahim Kalin, a spokesperson for President Recep Tayyip Erdogan. Tariffs have been imposed on 22 types of produce and goods imported from the United States, amounting to $533 million US of extra duties, according to a report in the state-run Anadolu Agency, quoting Rushar Pekcan, the country's trade minister. Pekcan said, according to the report, "the United States is an important trading partner, but it is not our only partner. We have other partners and alternative markets." The tariffs come a day after Erdogan said Turkey would boycott U.S. electronic goods, singling out iPhones. He suggested Turks would buy local or Korean-made Samsung phones instead, although it was unclear how he intended to enforce the boycott. The Turkish lira has dropped to record lows in recent weeks, having fallen some 42 per cent this year. It recovered a bit, by four per cent to around 6.12 lira per U.S. dollar Wednesday, after the government took steps to shore up the currency by reducing the daily limit in bank foreign currency swap transactions. It decided to release two Greek soldiers from prison on Tuesday. On Wednesday, Turkey then freed Amnesty International's honorary chairman for Turkey, Taner Kilic, from prison pending the outcome of his trial on terror charges. And Erdogan held a phone call with German Chancellor Angela Merkel and planned to speak Thursday with France's Emmanuel Macron. Turkey also announced Wednesday that it had received $15 billion of direct investments from Qatar, a country facing its own economic hurdles after being subjected to a blockade last year led by Saudi Arabia. Fundamental concerns about the Turkish economy persist, however. Investors are worried about Erdogan's control over the central bank and his pressure to keep it from raising interest rates. Higher rates would slow economic growth, which he wants to egg on, but are urgently needed to support the currency and tame inflation, experts say. The evangelical pastor, who is originally from Black Mountain, N.C., has lived in Turkey for 23 years and led the Izmir Resurrection Church. 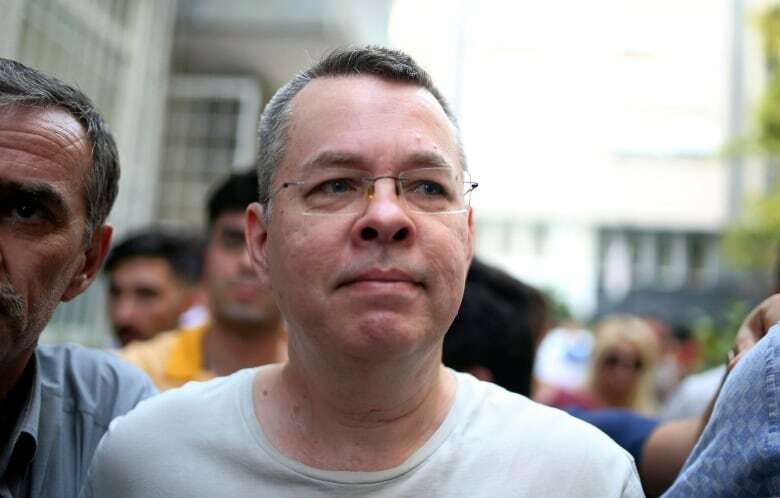 Kalin called on the United States to respect legal process in Turkey in reference to the American pastor's continued detention. For its part, Turkey would like to see the extradition of Fethullah Gulen, who now lives in Pennsylvania. Erdogan's government has blamed followers of the cleric Gulen for an unsuccessful 2016 coup, leading to a purge of thousands of people from Turkey's civil service, police, military and media and educational institutions, with many of them jailed. The two countries have also been in conflict in Syria's war. Turkey has urged the U.S. to halt its support for Kurdish YPG fighters or risk confronting Turkish forces on the ground in Syria. Turkey considers the group linked to the Kurdistan Workers Party (PKK) it bans at home, with the Americans using the fighters in its efforts to root out Islamic State in Iraq and Syria (ISIS) militants. 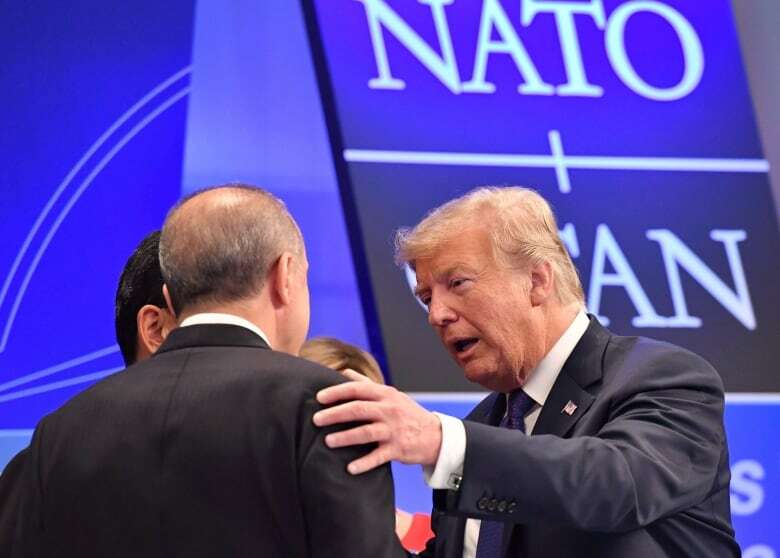 Also on the military front, Turkey's purchase of Russia's S-400 missile defence system has irked the U.S. and other alliance members in NATO.